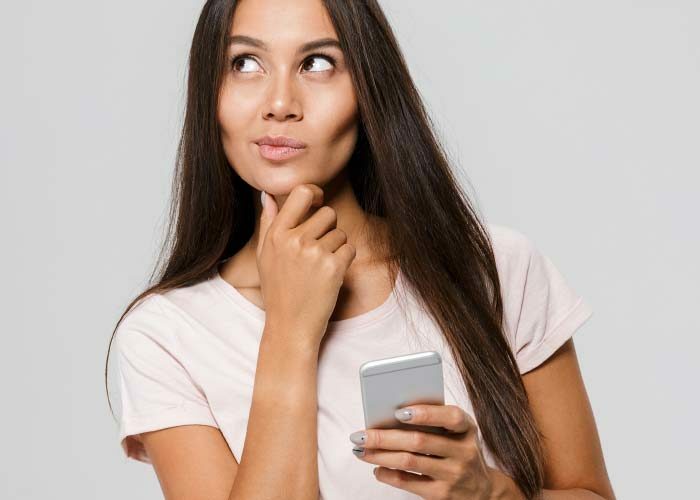 Chicago is brimming with so much to do, you might be wondering where are some of the best places to meet singles in Chicago. 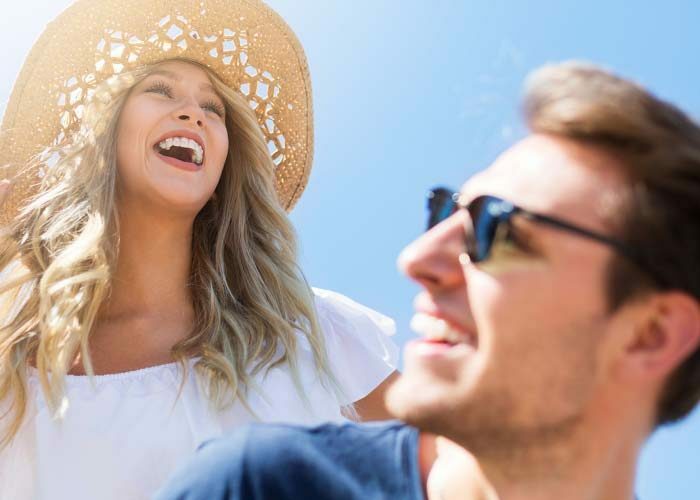 Well you’re in luck because we’ve found 12 of the best places to go in Chicago where you meet singles and have a bit of fun! 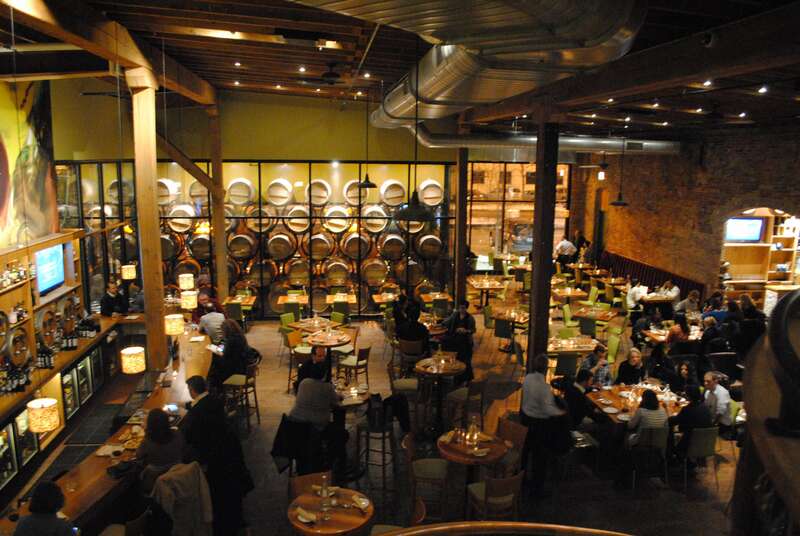 If you want a one-stop shop where you can enjoy a delicious meal, have live entertainment, taste and tour a winery where you can even make your own wine, then City Winery in Chicago is going to be your go-to place. If you’re going there for the food, City Winery has created a menu that’s composed of food that is perfectly paired with a variety of wines. Their cuisine features large plates of delicious meals that you can enjoy with your wine. There are three different dining spaces: Barrel Room Wine Bar & Restaurant, Patio, Concert Dining. If you’re going for the wine, you’ll be able to have a barrel ownership. This means you can have your own personal vintage in the venue’s cellar with your name on it. This is their most personalized service because it gives you a hands-on participation experience through the entire process. Click here for membership options. If you’re curious about what kind of live entertainment you can expect to see there, you’ll find performances like Timothy B. Schmit of the Eagles, Becca Stevens, Arsenio Hall and so much more. Innjoy opened its doors in 2001 to fill that desire of casual dining, drinking, and entertainment that the Wicker Park/Ukrainian Village neighborhood was searching for. Here, you’ll find a lively blend of live music, cultural events, and even sports on the televisions while you’re dining on an eclectic American menu. The venue has a specialized and eclectic mix of music that ranges from classic rock, dance, electronica, hip hop, soul, indie rock, R&B, jazz, world beat and reggae. 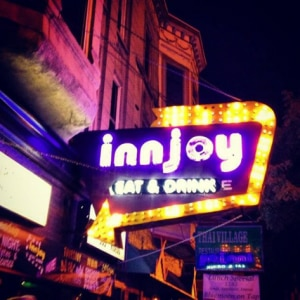 For those that love the atmosphere that a live DJ brings to a space, you can pop in Innjoy and find a DJ performing every weekend and on most nights during the week. 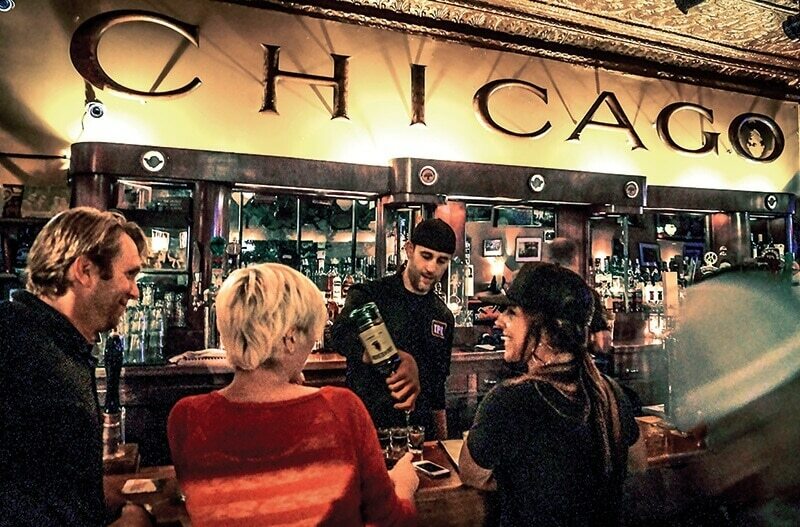 The people who will enjoy this place include locals, artists, musicians, urban professionals and even tourists who are looking for an authentic Chicago hang out spot. Sometimes one of the easiest things to bond with people with is a great bit of smoked barbecue. Here, the smokers are smoking, the briskets are basting in delicious barbecue flavoring, and the bar is overflowing with potent drinks! When you grab a slab of pork here, you’ll swear it’s the best slab of ribs you’ve ever had! 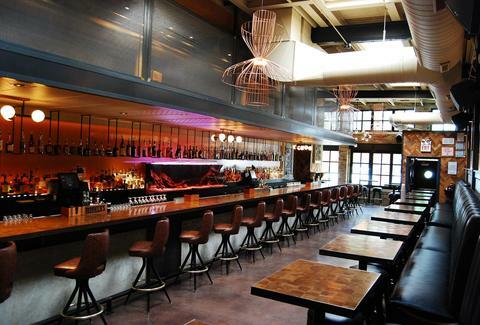 Rhyme or Reason is a modern American restaurant and bar that features a stage where you can find weekly live performances. There’s also a DJ booth that is made for vinyl, so you wouldn’t be wrong to get that retro vibe, thanks to the 70s inspired atmosphere. The items on the menu sound absolutely decadent — Chocolate Mascarpone-stuffed French toast is a must have if you’re nursing a hangover from the night before. There’s also a nice selection of “daytime libations” to help you get rid of the hangover, or at least make it a little more bearable. The type of acts you’ll find performing at Rhyme or Reason include Laura Burke, Alex & the XOs, Chicago Funk Mafia, Ayrk Crowder and so much more. Kings Bowl America opened their doors to the public in 2002 in the heart of Boston’s Back Bay. 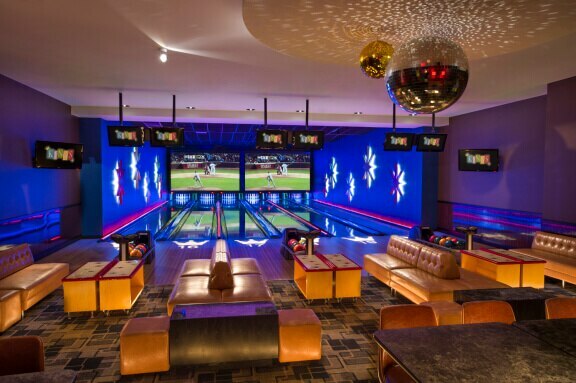 Through the years, they have expanded across the country with the intent of bringing Chicago an upscale, retro-inspired bowling alley that has been dubbed the best-in-industry in terms of service. Kings will provide you with an unparalleled social scene, so it’s not going to be hard to meet new people and possibly make some great new friends (or even find a love interest!) While this venue is family friendly, they do impose an age restriction after 7pm — adults over 21 are only allowed, and they must provide proof of age with a valid ID card. The type of cuisine you’ll find at Kings is pretty standard, but with a sophisticated twist. Sure, you may have had deviled eggs before, but bacon sriracha deviled eggs? We think not! There are also several types of pizzas, salads, and sandwiches you could choose from to satisfy your hunger while playing! 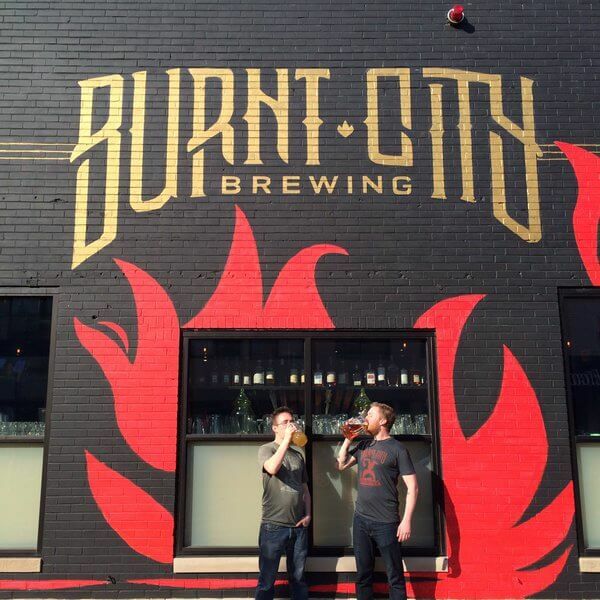 Another bowling spot in Lincoln Park, Burnt City Brewing is known for brewing great beers, hosting some pretty crazy events (in a good way of course!) and is responsible for creating some epic memories for those who come and stay a while. At the pub, you can dine on the traditional pub/bowling alley fare: pizza, burgers, appetizers and the like. But, what really stands is the beer selection. You have ales, IPA, stouts, and everything in between. If you like a particular type of beer, chances are you’ll be able to find it here at Burnt City. To go bowling, you can walk right in with your group and purchase time for one of the lanes. However, if you really want to ensure that you will be able to bowl, the establishment recommends making a reservation, as they get pretty busy. If you want an adult only bowling experience, you will want to go after 8pm, because after that point, only people over 21 years old are allowed in. This will be the perfect time to mingle and chat with other people in the venue without worrying about little ones running about. 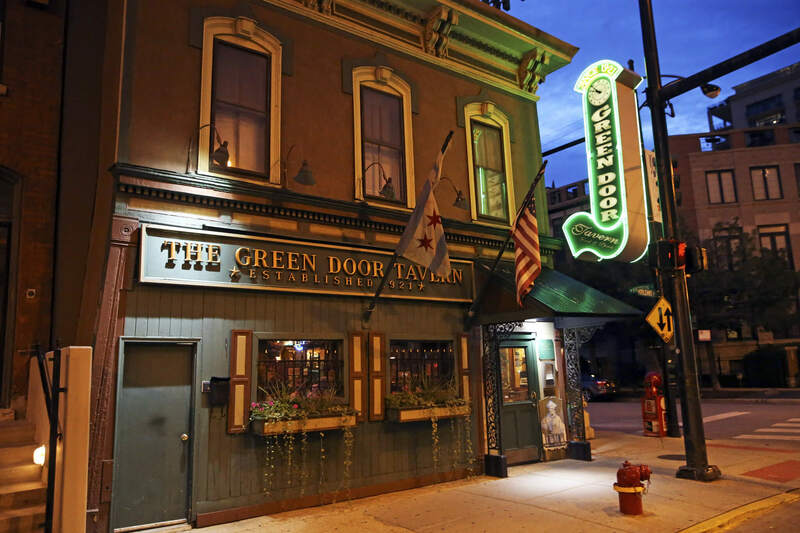 If you’re looking to enjoy a bit of history while drinking or eating, then you’ll want to check out the Green Door Tavern, celebrating over 95 years of service. The food at the Green Door Tavern is a nice spread of your typical tavern food — burgers, appetizers, salads, fries and the like. The venue also offers a brunch menu that is only available on the weekends from 10am until 2pm. When it comes to choosing what you’d like to drink, the venue has a wide selection of beer, both American and import, but they also have a good selection of whiskey — American, Rye, Scotch, Irish, and Canadian! If you’re a whiskey fan, you’ll be able to find something here that will tantalize your palate. Also, you could try a whiskey flight: a bourbon flight or single malt flight where you get to sample three whiskeys. The real place that you’ll want to check out here is the Drifter. This is the only remaining speakeasy from the days of prohibition and it is brimming with secrets. Here is where you want to go if you want to see some unique acts, drink great cocktails, and be in a place where you can let your hair down — this is it. 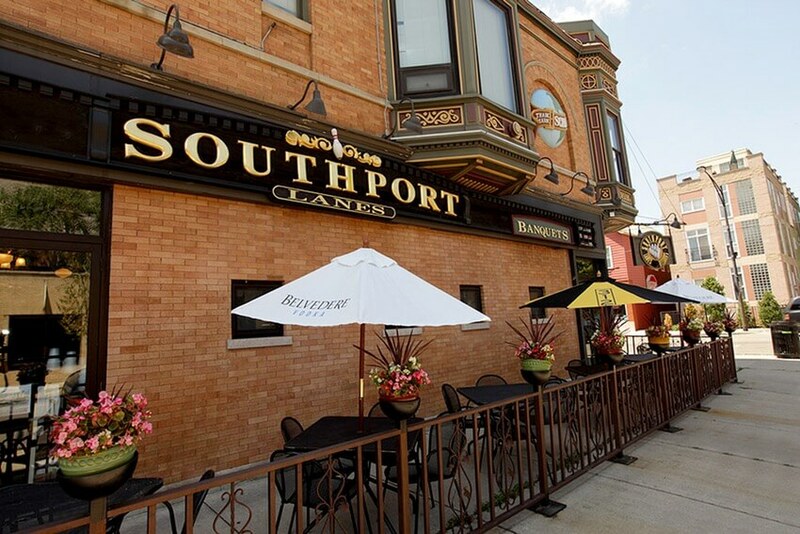 Another prohibition-era establishment on this list, Southport Lanes has been around since the turn of the century, sometime in 1900. When the establishment first opened, it was called The Book, but it changed to Southport Lanes in 1922 when the addition of 4-hand set bowling lanes were added. Later in the 20s, the tavern transformed the upstairs into a speakeasy and a brothel. After prohibition ended, there was a new building added to the east side of the bar to be a gambling facility that had lines all over the country. However, in the 50s it was turned into a local polling place and a beer hall for rent. Today, it is used as a billiards room. The unique, old time feel of Southport Lanes makes it a joy to spend your time. The venue isn’t really recommended for children because there aren’t any bumpers or kid-friendly balls, but you can bring children here until 8pm. After that, adults over 21 run the show and that’s when you can really let down your hair, have a few drinks, and have lots of fun, whether you’re with a group of friends or mingling. If you’re a fan of the television show, Bar Rescue, you may recognize this place. 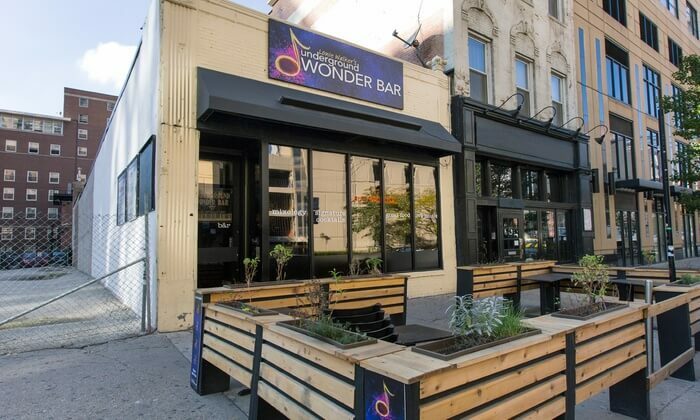 The Underground Wonder Bar (though it had a brief name change to Clear Bar after the show). Well, it didn’t last very long and it is back to the Underground Wonder Bar that Chicago natives love. This place is perfect for anyone who wants to be in the midst of an eclectic crowd to hear a variety of music genres, see some comedy, or other non-musical events. With this place, you can bet there is always something going on and entertaining a new crowd! If you’re looking for food… eh, you may want to eat beforehand, because it tends to be a hit or miss. But you don’t really go to a place like this for the food — you go for the live entertainment! For those who want a challenging night out before (or after!) you’ve had a few drinks, The Room is a great way to make you think outside of the box and really put yourself to the test. The Room is a live, interactive mystery escape room challenge. It’s the perfect night out for people who enjoy solving puzzles and mysteries. Upon entering the room, you are locked in and have 60 minutes to figure out how to get out. You have to work together to find hidden objects, decipher codes, solve puzzles, gather clues, and open locks so that you can escape. You’re going to want to stay on your toes because there are going to be unique and interesting objects in the room to distract you! There are three rooms that you can choose from here: The Gallery, Einstein Room, and Who Dun it. These rooms are going to be challenging but that’s all part of the fun! 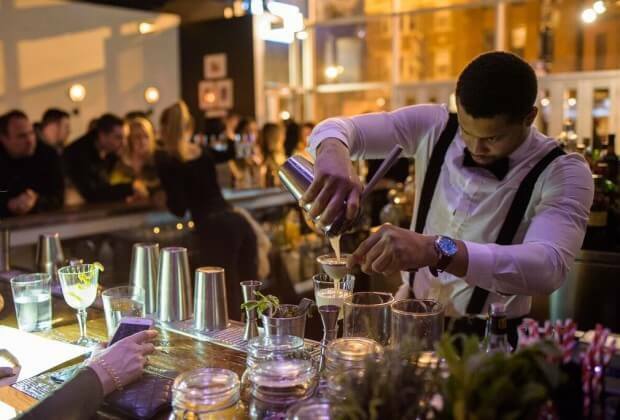 If you’re looking for a place to go after every other place closes early, Remedy might be your answer, as they stay open until 4am every night — 5am on Saturdays! This anytime bar offers an eclectic craft cocktail list, a local brewery driven beer list, and when you don’t know exactly what you’re in the mood for, the knowledgeable staff can help! Some of the unique cocktails include: The Remedy, Owlington, Bronson, Last Call and much more. Happy Hour, which runs from Monday to Friday, 4pm to 7pm allows you to choose any drink you’d like at half price. On the off chance, there is an event going on (it doesn’t happen too often), you have the opportunity to mix and mingle with folks. Examples of events that you could attend include Prom Night, where you dress up in hideous prom dresses and tuxedos. You also have Fat Tuesday where you can help celebrate Mardi Gras. Another escape room venue makes our list! 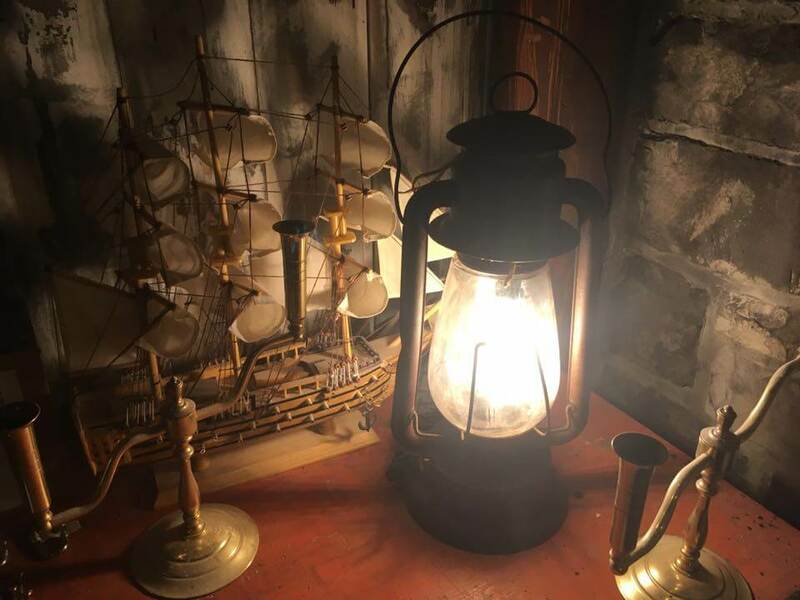 With Escape Artistry, you’re going to be given 60 minutes to find your way out of a locked room that is filled with puzzles that drive a story forward. These stories are intended for teaching your something about the world, the people in the room, and yourself, so it is going to be truly a learning experience. To help you escape from the room, you’re going to need to search for clues and keep your wits about you as you solve the challenging puzzles. What’s nice about this venue is that they use recycled products for everything in the room — from the set, the puzzles, and the props. When you support Escape Artistry, you’re supporting their unique and collective commitment to the environment and sustainability. Also, you can contact the company to create a custom room escape experience for your own events, be they an in-house team building event, special event, personal or professional event! So, you know our top picks but we’re interested in knowing your favorite places to go. 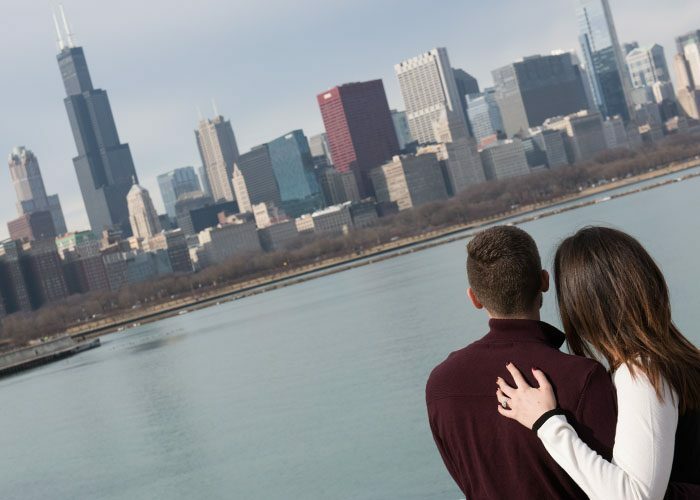 Leave a comment below and tell us where you like to go to meet singles in Chicago! Alex Reddle – online dating specialist. He got his Psychological degree at Kent State University. He specializes in the subject of Interpersonal relationships, love, finding a partner. He likes to study human behavior and ways of communication. 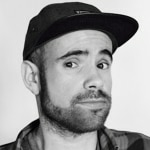 Being Chief Editor of Flirt.com blog he has conducted a big research in this sphere.